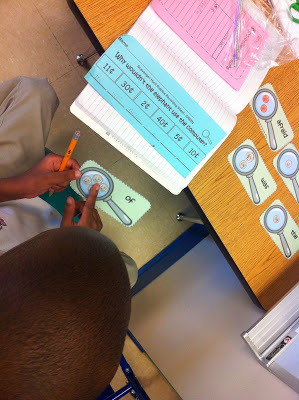 Math Centers – A How-to Guide! Last week I put all of my math center information together into one How-To pack in order to help those of you who are interested in beginning math centers as part (or all!) of your math block. 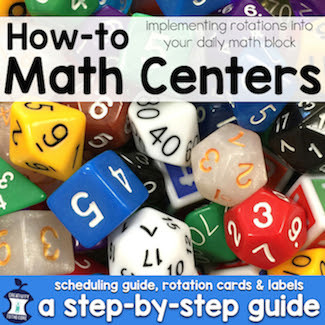 It has over 90 pages worth of math center goodness! 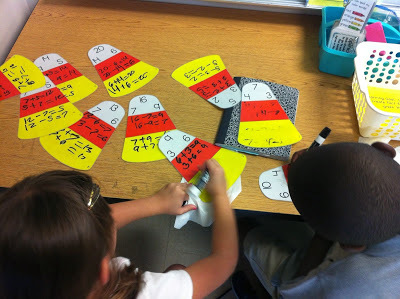 This post will give you a bit of an inside scoop into my math center setup. Enjoy! Before I explain each center, take a look at this overview. I have 4 student groups. Each group has 4-7 kids depending on my class size. My math block lasts for 1 hour and 15 minutes, so the chart matches that time frame. Tweak the time to work for you. I teach a short mini lesson for 5-10 minutes when we first start. This may be the “We Do” pages from our math textbook or just some practice problems that I want to do with the kids. I do not keep students in whole group for a long time. I have found that most students do their best work in centers when the centers are engaging and filled with movement. Soooo, I give them what they need and send them off to do their best! Each student goes to 4 rotations each day: Independent, Centers, Computer, and Small Group. 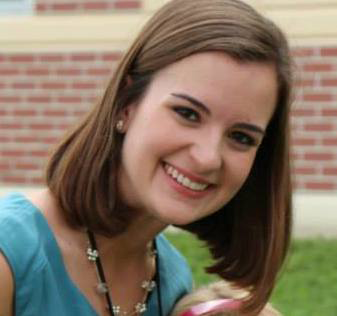 Small Group: This is your time to teach & provide remediation! The groups rotate through this setup using the chart above. 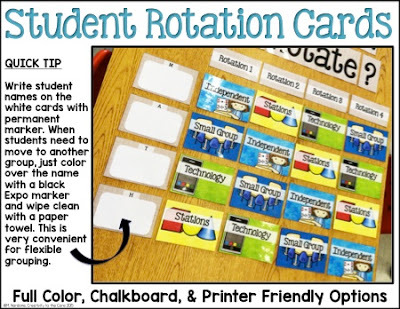 I laminate the cards and write student names on top of the cards in permanent marker. That way, I can easily erase names (Expo on top of Sharpie works wonders!) when groups change. These cards are all available in the How-To pack. 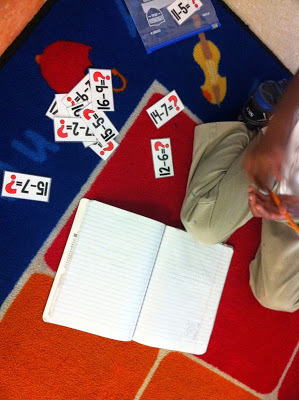 If you have never had students complete math centers, it can be overwhelming at first. I have created a system that works for me because it is S-I-M-P-L-E. Seriously. Simple. Like I said, students go through 4 rotations each day: Independent, Centers, Computer, & Small Group. One of those rotations is centers. 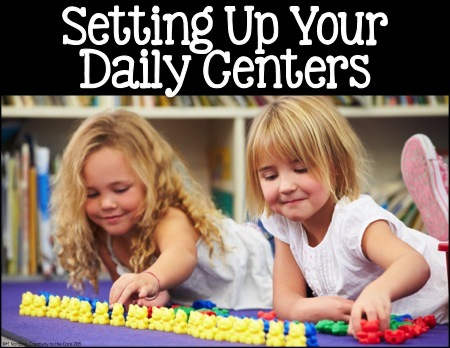 I have 5 different centers – one for each day of the week. 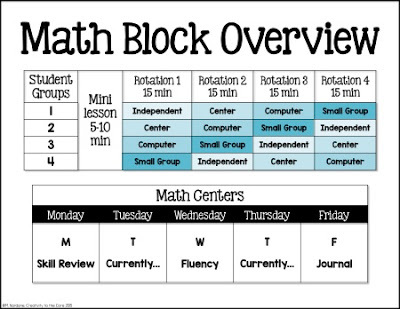 (See the “Math Centers” chart on the math block overview page above.) Below are some close up pictures to show you a few activities that may take place in each of the centers. 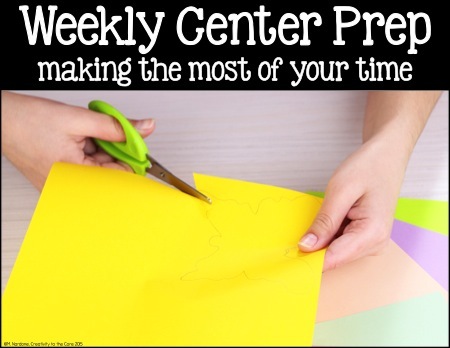 A full description of each center with images and links to each activity are in the Math Centers – How-To pack. What do they already know but need practice in? What are you teaching right now? What facts should they practice? 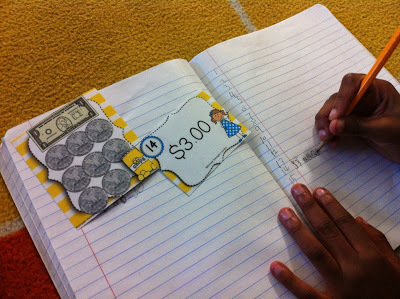 What fun journal activity will help them master the topic? Many people see math centers as “too much prep”. I’m here to tell you it is not! I have a detailed description of what you NEED to prep and what you do NOT NEED to prep each week. These ideas will help you when you are developing your own ideas. Here’s a peek at some labels that are included in the pack. The color option has a yellow background. 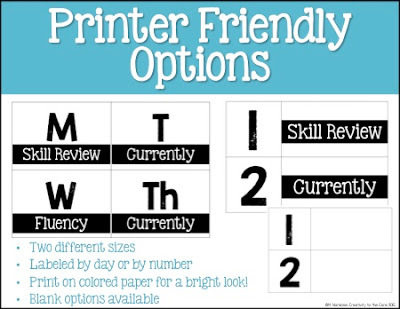 The labels shown below are in black and white and would look wonderful if printed onto brightly colored paper. Print, cut, & laminate the labels before attaching to your center bins to ensure that they last the entire year! 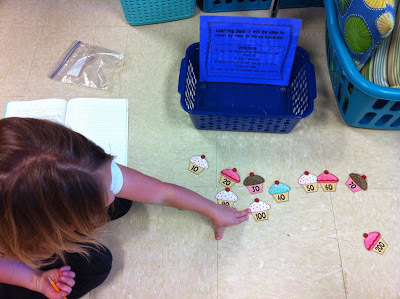 I love math centers because the kids feel free to move around. They are not stuck in their seats with a workbook. Plus, what kid wouldn’t want to play games during math. Heck! They don’t even realize they’re learning. 🙂 What more can a teacher ask for??? I hope I answered some questions about implementing math centers. Be sure to check out my Math Center How-To Guide for step-by-step instructions, student grouping ideas, detailed descriptions of each center with activity links, rotation chart labels, and center bin labels! Do you have an aide or parent helpers to assist? What do you do when you are working with a small group and someone needs help with their math journal page or workbook page? No, I do not have an aide or parent helper. When I'm working with a small group, I build in time that I can travel around the room for 1-2 minutes. I either have my small group work in pairs to practice the skill or give them a specific task to do while I walk around the room real quick. I check to see if my other kids were on task and if they had any questions. In general, we go over the centers as a review briefly each afternoon before starting so that I don't get as many questions. (On Mondays, we do a in detail explanation of each center.) I have taught students to do different things when they get stuck or need help such as: ask another student at the same center, skip it and move on, and look back at what you have done in the last few days. These strategies seemed to help! Meredith this is awesome! I dabbled in math centers last year but this year I'm really doing them. We are struggling though. We have 45 minutes. It's hard to get in a group lesson and three 15 minute centers but I try. 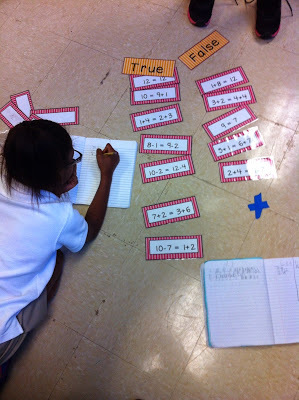 I do a worksheet/iready split for review (takes two days of rotations to complete) then we have games and small group. On Fridays I don't do centers. It's catch up if we missed something. I love it. 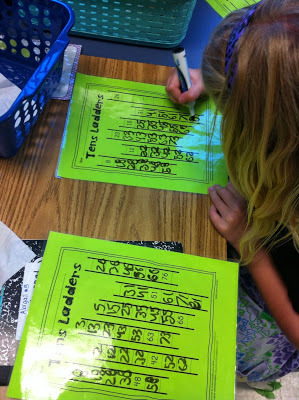 Love that you laminated the tens ladders!! !